Bloomingdale, part of the Tri-Cities region is located moments away from the Tennessee-Virginia border. This rural area is considered a suburban neighborhood of Kingsport, which is a 10-minute drive away. Bloomingdale is also known to have the most Scottish and Irish ancestry than any other neighborhood in the US. Life in Bloomingdale is quaint, safe, and removed from the big city buzz, yet still very close to conveniences found nearby in Kingsport and Johnson City. Residents of this neighborhood also have quick access to major highways like the I-26. Bloomingdale real estate offers homes to suit a variety of interest, especially families, who are spoiled for choice when it comes to finding single-family residences in the countryside of Bloomingdale. To discover more about Bloomingdale real estate, register with our team today! Our advanced search tools will make your next home search fast and convenient. Bloomingdale real estate is a great place to start out as a first-time buyer, or for growing families who appreciate having a home that is nestled into nature. This rural-suburban community is also an excellent choice for top-quality retirement living due to the quiet and safe nature of the neighborhood. Bloomingdale homes for sale are typically historic designs with elegant craftsmanship. Traditional two-story homes are popular, featuring stylish brick exteriors, and inviting porches at the entrances of the homes. Most homes have attached or detached double garages and plenty of space for parking more than one vehicle. Older homes, such as mid-century moderns and bungalows have gone under some remodeling to meet the needs of today's buyer. Floorplans found in the more classically-styled homes boast open foyers, with some showcasing double staircases. Bloomingdale homes for sale have hardwood floors and modern, quality features in the bathrooms and kitchens. Bloomingdale homes range from 2-4 bedrooms and 2.5 bathrooms. At the higher end of the market, some homes have lovely decorative moldings and wainscoting throughout the homes. For those interested in living on acreages, this neighborhood offers many country-style ranchers that sit on generous amounts of land. Some have enough room to consider a small-scale operation, such as a hobby farm. Many of the backyards are generous enough for residents to easily start a veggie garden and still enjoy enough room to let their children roam and play. Rancher-style homes have basements which can be used as revenue-generators for rentals or for additional entertainment space. For those interested in owning a farmhouse, Bloomingdale offers ranches with acreage. Some farms start at 5-acres while others have up to 50-acres, coming fully equipped with barns and a variety of other farm equipment. Bloomingdale is known for its cash crops, so this might be an excellent place to invest in both a house and a business. Bloomingdale covers the essentials when it comes to shopping needs. You'll find drugstores, grocery options, and a few unique independents, but most residents opt for a 10-minute drive to Kingsport for a wider variety including large stores such as Target, Ulta, Michaels and Old Navy. An iconic eatery found in both Kingsport and Bloomingdale is the famous Pal’s Sudden Service. It’s been a national favorite since 1956 where customers get to experience some of Tennessee's best fast food. Most known for the freshness of their food, Pal's Sudden Service also has a variety of healthier food choices too. Living in Bloomingdale offers a lot of opportunities for outdoor recreation. Warrior’s Path State Park is a 950-acre park located on the shores of the Patrick Henry Reservoir on the Holston River. It’s home to top-notch boating and fishing, hiking trails, and a world-renowned mountain bike trail system. Families will enjoy the award-winning nature education program. You’ll even find a golf course here! Bloomingdale has three schools to offer families. 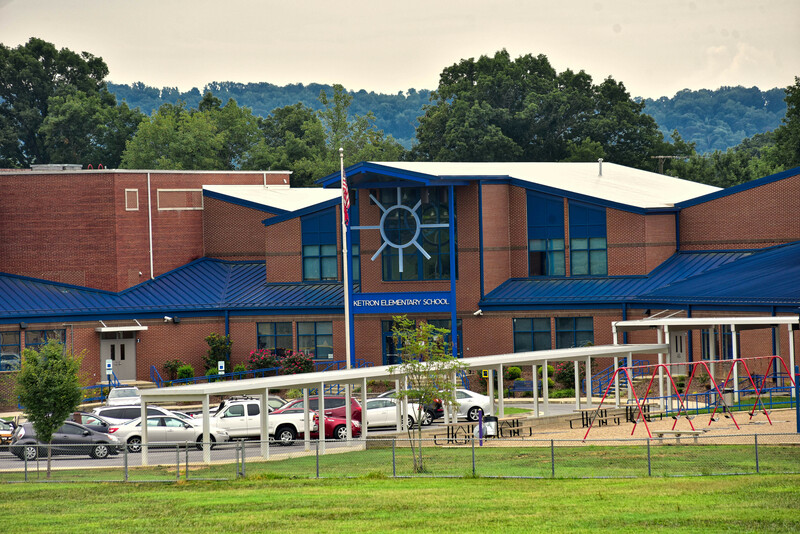 Ketron, Cedar Grove, and Kingsley Elementary; each of which is recognized for the high quality of education provided. The best part is that the area is safe enough for your kids to walk to school in under ten minutes. Does living in the beautiful community of Bloomingdale interest you? If so, get in touch with our group of professional Bloomingdale real estate specialists! Our team is dedicated to finding you the best options.